As an elementary Language Arts ESOL (English for Speakers of Other Languages) teacher, I found that a successful class was always one in which my students were up and moving around (while engaged in some learning activity, of course). 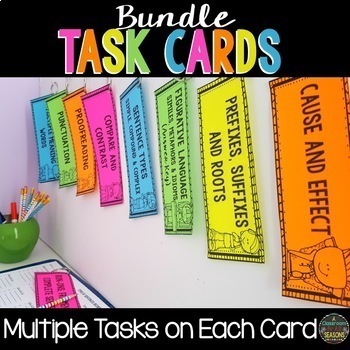 That is why I love task cards and any other hands on manipulative lessons. 1. It saves on paper! Laminate them and use them year after year. 2. Student centered learning: Students can work independently or in pairs while you rotate around the room giving individualized help when needed. 3. A nice change from worksheets; students feel like they are playing a game. 4. 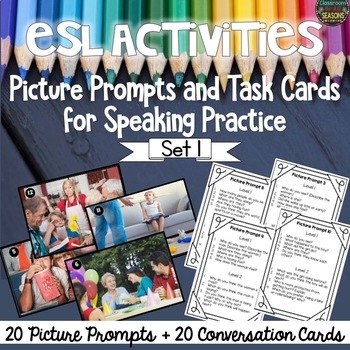 Great for small group intervention. Keep them handy when you need to review. 6. Gets students up and moving around. We know many students just work better when up and moving around. 7. Students get that feeling of accomplishment as they check off their completion list. 8. They are fun. Make a game out of them. 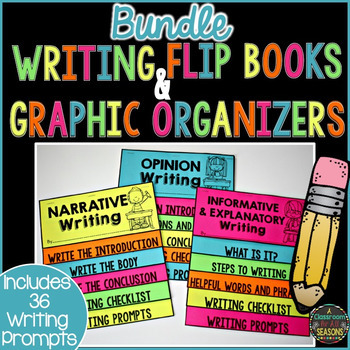 For example, create a scavenger hunt and place around the classroom. My Task Cards are a little different from the rest. 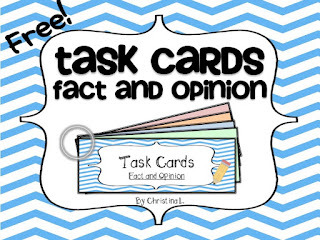 That is because each task card has multiple (5-10) questions each. Students can work on just one or complete more if they are more advanced. They are also differentiated so that multiple levels can work on them. 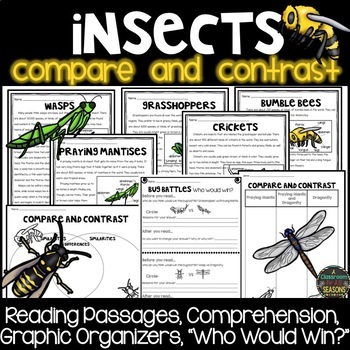 Depending on their level, students can work independently on in pairs. 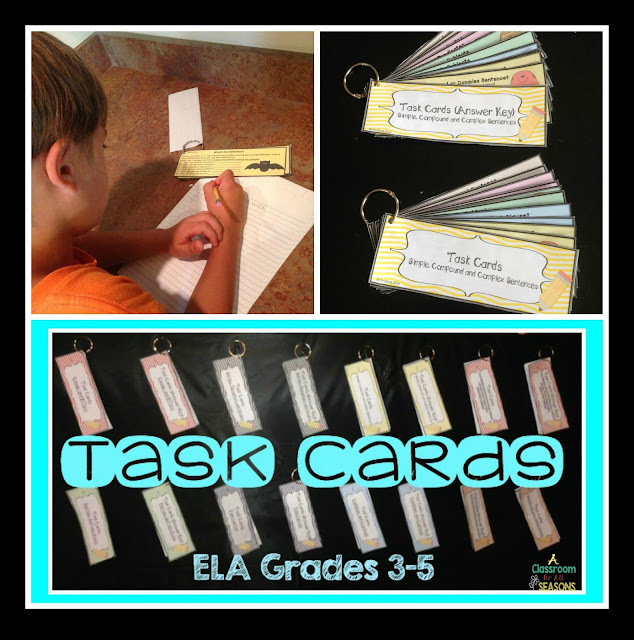 Try out these **FREE** Task Cards in your classroom.